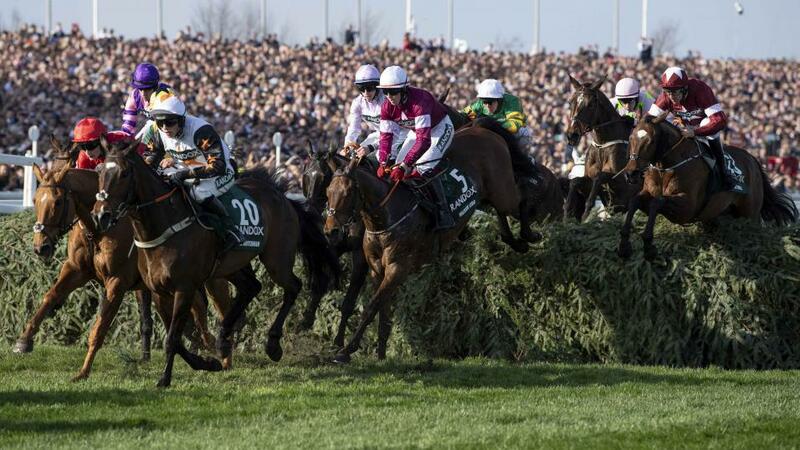 Who will win Saturday's Grand National at Aintree? "He was as good as ever when making a successful return at Down Royal and seems set for a huge run..."
Ran a blinder when fourth to Tiger Roll in 2018 Grand National and looks a major player again, still well in at weights despite heading the handicap. Trip far too short on reappearance, but much more encouraging when second at Gowran on his next start, and ran another cracking race in Cheltenham Gold Cup to finish second to Al Boum Photo last time. Won four times at Auteuil when trained in France. Showed plenty of improvement on his French form when 33/1 winner of Silver Cup Handicap Chase at Ascot (by eight lengths from Jammin Masters) on first start for this stable in December. Hung badly right when pulled up in Cotswold Chase at Cheltenham last time, so this track not sure to suit either. Winner of last year's Grand National from Pleasant Company, having only a head to spare at line after looking in full control on run-in. Looked better than ever this season, winning Boyne Hurdle at Navan before emphatic success in Cross Country Chase at Cheltenham (for second year running) last time. Short price off higher mark this year, but still potentially well handicapped. High-class chaser at best but temperament often gets the better of him nowadays and he shaped like a non-stayer in last year's Irish National. Sold out of Gordon Elliott's yard on Thursday. Top-class staying chaser at his best but off nearly 2 years before his return this season and has looked a shadow of his former self. Sold out of Gordon Elliott's yard on Thursday. Joined current yard this season and proved better than ever when winning Sky Bet Chase at Doncaster (by six lengths from Monbeg River) last time, typically jumping/travelling well. Badly hampered only previous try over these fences, but doubts about stamina over this far. Smart chaser who won twice last season, including big-field Troytown handicap. Kept fresh for this date this term, running respectably behind Jury Duty at Down Royal last time. Should stay. High-class chaser at best, runner-up in 2017 Cheltenham Gold Cup. Largely struggling for form since (often let down by jumping over fences) and ran too badly to be true when pulled up in Ultima Handicap Chase at Cheltenham last time, having shown some encouragement over hurdles on previous start. Set to carry top weight in last year's Grand National but withdrawn due to soft ground, and off a much lower mark this year. Improved handicapper this season, winning Rehearsal Chase at Newcastle and Rowland Meyrick Chase at Wetherby (by four lengths from Captain Chaos), both in December. Better still off top weight when three and a quarter lengths third to Beware The Bear in Ultima Handicap Chase at Cheltenham last time, jumping soundly as usual and staying on well. Likeable and consistent type who should relish marathon trip, so holds leading chance. Back to best when second to Tiger Roll in Grand National at Aintree last season, jumping superbly in main and rallying well to go down by a head. Not at best so far this term but capable of much better show here. Smart novice last season, winning twice, including Towton Novices' Chase at Wetherby (by two and three quarter lengths from Vintage Clouds), and running best race when beaten a nose by Joe Farrell in Scottish Grand National at Ayr. No impact in top staying handicaps this term, and fell in Becher over these fences in December. Right type for this, but current form a concern. Lost his way after winning first two starts over fences last season, but bounced back to form from out of blue when winning Grand National Trial Handicap Chase at Punchestown (by four and a quarter lengths from Wishmoor) last time, leading last and forging clear. Won five times as a novice in 2017/18, notably National Hunt Chase at Cheltenham (by half a length from Ms Parfois). Made light of 10-month absence when winning Bobbyjo Chase at Fairyhouse (by three and a half lengths from Alpha des Obeaux) in February, taking command before last and well on top at finish. Well treated at weights, and one for the shortlist. 2017 Grand National winner when coming from well off pace to beat Cause of Causes by four and a half lengths. Missed whole of last season and unseated both starts this term, so not had the smoothest preparation. Put up best effort this season when winning Grade 3 handicap at Cheltenham (by one and a quarter lengths from Royal Vacation) in November, jumping well. Below form in similar event there following month, but has gone well fresh in the past so absence since not a worry. Won Grand Sefton Chase over these fences (by one and a half lengths from Brandon Hill) in December. Shaped better than result when never-dangerous tenth to San Benedeto in Greatwood Gold Cup at Newbury last time, but pulled up after failing to stay in last year's Grand National. Hard to predict but smart handicap chaser on his day. Shaped as if retaining ability when nine and a quarter lengths third to Calipto in listed event at Ascot last time (lost a shoe), having won same race previous season. Eighth in 2017 Grand National and a late withdrawal last year. Won olbg.com Mares' Hurdle at Ascot (by three and a quarter lengths from Jester Jet) in January, but better over fences, winning listed mares' event at Newbury (by 14 lengths from Drinks Interval) in December. Creditable 11 lengths seventh to Beware The Bear in Ultima Handicap Chase at Cheltenham last time. Been a bit disappointing over fences this season but yet to tackle a marathon handicap like this and has run respectably in handicap hurdles the last twice. Part of the Elliott/Gigginstown battalion. Won Grand National Hurdle at Far Hills in USA in October. Better still over fences, finishing third in Galway Plate last summer, and returned from break with cosy win in minor event at Down Royal (by six and a half lengths from Mala Beach) last time, conceding weight. Assured jumper, and makes appeal at the weights. Smart handicap chaser in 2016/17, when winning Paddy Power Chase at Leopardstown. Missed following season and hasn't threatened this term in either Becher at this course or Ultima Handicap Chase at Cheltenham. Won 3 times as a novice chaser at up to 25.5f but has looked a bit out of love with the game this time around, never dangerous behind Pairofbrowneyes at Naas last time. Won at Chepstow in December before good one and a quarter lengths second to Elegant Escape in Welsh Grand National at same course. Probably should have won when three-quarter length second to Robinsfirth in Grand National Trial at Haydock last time, making effort a bit too soon. Likeable type who's still on the upgrade. Former top-class chaser who's been struggling for form for a while, though finished third in Peterborough Chase at Huntingdon in December. Unseated in Cross Country Chase at Cheltenham last time. One-time smart handicap chaser who never really looked like being involved back from 20 months off (behind Walk In The Mill) in the Becher and very hard to fancy. Ended novice campaign with win in bet365 Gold Cup at Sandown (by 13 lengths from Rock The Kasbah). Yet to reach that level in couple of starts three months apart this term, possibly needing run again in Classic Chase at Warwick last time. Bold jumper, but tendency to jump right not ideal round here. Has an excellent record over the Grand National fences, winning Topham Chase (for second successive year) in 2017/18, and finishing six lengths third to Walk In The Mill in Becher Chase in December. Pulled up in Cross Country Chase at Cheltenham last time, and would have stamina to prove if taking chance here instead of in Topham again. Won the 2018 Martin Pipe and made a successful start over fences in October, but has become one to treat with caution in this sphere. Has had a wind operation. Completed simple task in novice at Killarney last May. More patiently ridden last couple of starts, creditable third to Invitation Only in Thyestes Handicap Chase at Gowran after nine months off, and better than result when eighth to Beware The Bear in Ultima Handicap Chase at Cheltenham last time, travelling best when clouting three out. Each-way possibilities. Raced mainly at Cheltenham, but has a frustrating record, runner-up four times since only win over fences as a novice, and latest narrow defeat coming in December when beaten head by Cogry in Grade 3 handicap. Never involved in Ultima Handicap Chase at same course last time. Best recent effort when four and a half lengths second to Walk In The Mill in Becher Chase at Aintree on return (won same race two years earlier). Went in snatches when pulled up in Grand National Trial at Haydock last time. Completed in last three Grand Nationals, hampered early on last year after failing to stay on first two attempts. Regressive these days and finished in his own time in this last year, capitulating from 2 out. Gigginstown have much stronger contenders. Won novice handicap at Aintree on 2017/18 return and made winning reappearance this season at Haydock. Back to form after wind operation when excellent one and a quarter lengths second to Beware The Bear in Ultima Handicap Chase at Cheltenham last time. Showed he stays 4m well when third in last year's Scottish Grand National, and type to go well. Won Irish Grand National at Fairyhouse (by head from Isleofhopendreams) in 2018. Returned to best when four and three quarter lengths third to Dounikos in Grand National Trial at Punchestown in February but made late mistakes when pulled up in Ultima Handicap Chase at Cheltenham last time. Not one to rule out from current mark. Ran well when three and three quarter lengths second to Whisperinthebreeze in Leopardstown Handicap Chase in February. Shaped as if still in good form when down the field in Fulke Walwyn Kim Muir Chase at Cheltenham last time, but stamina a concern on that evidence (weakened late). Well backed when winning Becher Chase at Aintree (by four and a half lengths from Vieux Lion Rouge) in December, jumping soundly in main and suited by emphasis on stamina. Kept ticking over since with couple of thirds in novice hurdles and one to consider back over these fences. Ideally suited by a thorough test of stamina over fences. Won Grand National Trial Handicap Chase at Punchestown in 2017/18, before going close when promoted fourth behind General Principle in Irish Grand National at Fairyhouse after being badly hampered at last. Probably still in form when last of six finishers behind Potters Corner in Midlands Grand National at Uttoxeter last time, finishing well after losing interest. Saw off Definitly Red in a Kelso match in February and fair run back there last time, but hasn't looked a natural over these fences in 3 attempts (unseated early last year). Been a bit disappointing this season, running a tame race in the Cross Country last month, but a revival wouldn't be a total surprise given he was third to Tiger Roll off this mark last year. Ended his novice season with victory in the Scottish National, edging out Ballyoptic. Seen just twice since at Newbury, running a mighty race a fortnight ago. Gambled on this week and a player.